If there’s one thing I can’t stand, it’s people who take advantage of an animal’s loyalty and leave it heartbroken and alone. 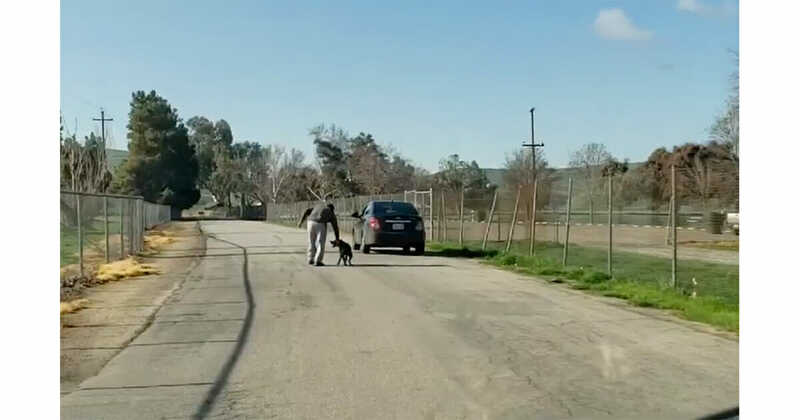 A disturbing video has surfaced appearing to show one such man dumping his dog by Lake Ming in Bakersfield, California. The footage in question was recorded by Steven Sage Silver, who was in his car less than 100-yards away from where the incident took place. The footage shows a man walking his dog away from the Sedan, with his pooch obviously of the opinion that he’s about to play. 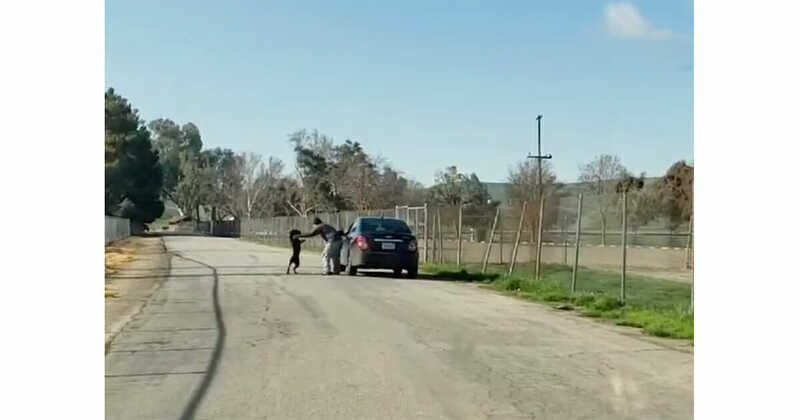 The owner then begins to use his hands and feet when his dog tries to follow him back to the car, before forcibly throwing him out when the dog manages to get back in the driver’s seat. He then promptly drives off, leaving his loyal pet to chase him down the street. According to Silver, the unnamed man tried to get into a fight with him after being confronted as to why he was being physical with the dog. 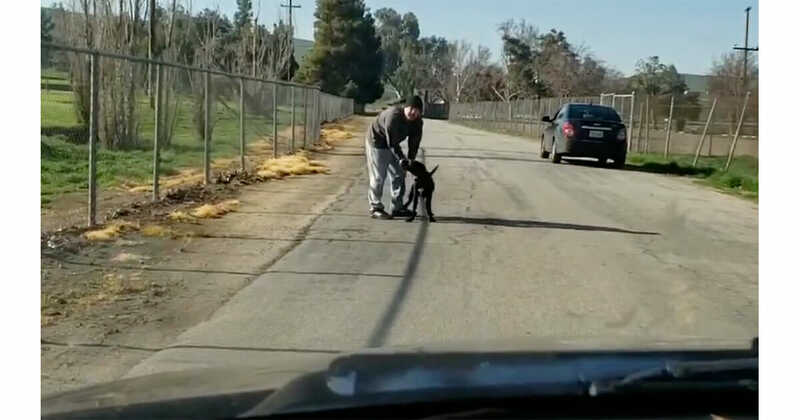 In the caption of the video, which he uploaded to Facebook, Silver said: “These people were hitting this dog in the face when I first approached them. They then abandoned the dog after the male tried to get into a physical altercation with me. As per reports, Kern County Animal Services have opened an investigation into the incident and are asking the public for information. The owners could face misdemeanour charges if their identities come to light. There is simply no reason to treat an innocent animal like this. It breaks my heart to see how this dog was betrayed, and I hope his owner is brought to justice swiftly. Share this article to help in the hunt for this callous individual!